Havin’ Ourselves a Rock-N-Robin Time. – Oh Blog Di, Oh Blog Da. ROCK -N- ROBIN @ The Keltic House 6/19/10. Finally! We got it together to make it happen and happen it did. It was a fun night headlining with the new setup (Me, Michael D’Andrea-Drums, Chris Gorgone-Lead Guitar and George Demas-Bass/Keyboards). I must have had about 8 shots of Yagermeister (spelling?) with no effect (which is why I ended up having 8!) except for when it was jokingly pointed out that it might be the Yager that had me miss a couple of cues on “I want you to want me” by Cheap Trick. Oh, come on…when it comes to the end of the night, which it was, it’s tricky to repeat the same verse over and over and over again without the chance of a fumble, ya know, the “I want you to want me, I want you to want me, I want you to want me” okay okay, we get it, you want him to want you, now get over it. LOL. Really though, something about performing, and the alcohol just gets dispersed in the wrong places rather than my blood cells. Probably on my thighs! Ha. Taylor Rich (my fabulous daughter from Cali) came to town and got up and sang Bad Reputation with me and I gotta say she’s a talented chickadee. Tommy Dowd (formerly of Panic 2010 and my sometimes sit-in bassist) came to check us out and Steve Friedman from a band I was in a couple of years ago (Vixen Dogs) came by as well. Tom O’Reilly (from More Sugar, the Hudson Valley Band Newspaper) and his photographer stopped in too. 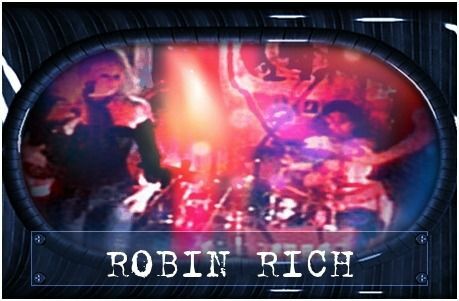 It was nice to see everyone and have their support on this, re-adventure, of a newer type venture, chapter two (so to speak), into the world of ROCK-N-ROBIN. Stay tuned for our first originals being tweaked and getting ready to pop (ROCK) soon…..